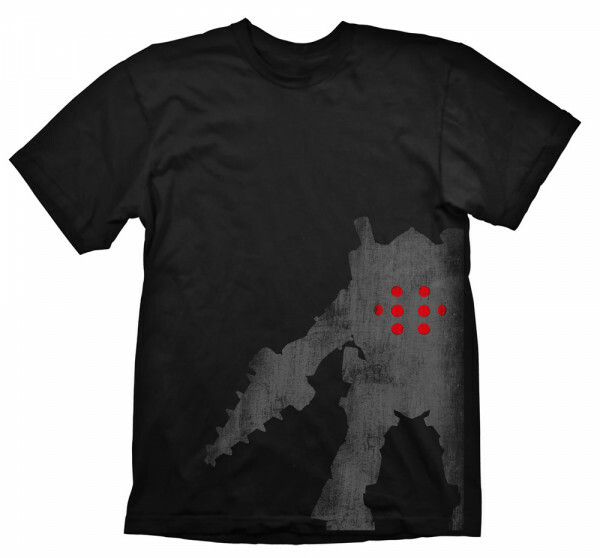 The latest shirt in our "Bioshock" line shows the menacing silhouette of a Big Daddy with red glowing eyes. The Big Daddy is printed in an oversize fashion with a slightly distressed look. High quality, 100% pre-shrunk cotton for a long lasting fit, even after being washed several times. All Artworks are original designs and printed in a very durable silk screen procedure. Each T-Shirt is packaged in an eye-catching blister packaging for easy presentation on blister walls or shelves. The packaging is also available in different heights and can hold a DVD case as well, making it a good choice for bundles. Bioshock is a first-person shooter with role-playing and survival horror elements developed by 2K Games. The game takes place in the underwater world Rapture, which originally was a place of complete and individual freedom for the elites. The player finds him himself between bloody conflicts between the citizens, who have destroyed large parts of the city. He must fight his way through the deranged dweller with a variety of weapons and powerful psy powers. 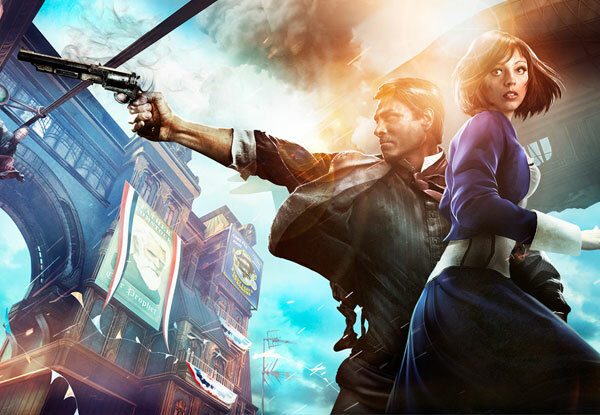 The deep story and gritty athmosphere left a huge impression on the gaming community and formed a big fandom around the Bioshock series. "It wasn't impossible to build Rapture under the sea, it was impossible to build Rapture anywhere else."